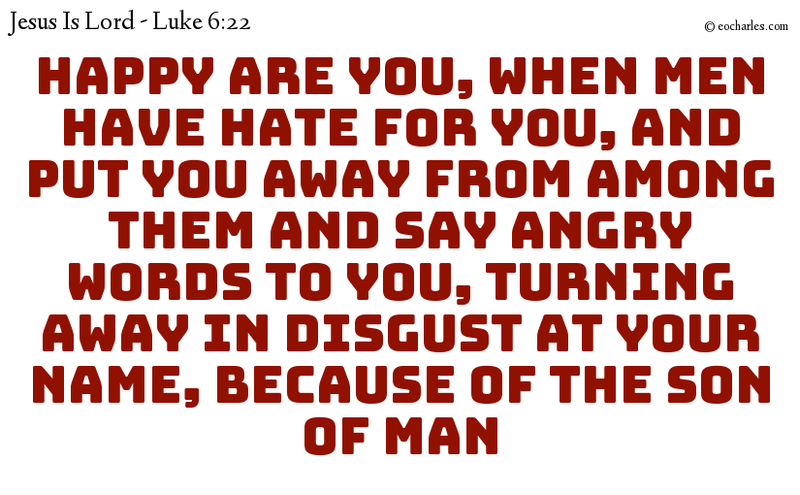 Happy are you, when men have hate for you, and put you away from among them and say angry words to you, turning away in disgust at your name, because of the Son of man. 1)Luk 6:5 And he said, The Son of man is lord even of the Sabbath. 1. ↑ Luk 6:5 And he said, The Son of man is lord even of the Sabbath.